The world is alive with the promise of spring. For several weeks the Sandhill cranes, geese and ducks have announced their arrival from warmer climates with their familiar honks. The frozen stream down the road has parted into a fanciful pattern of ice and water as it meanders on its predictable journey into the woods. Horses across the road whinny and prance around, seemingly knowing that the harsh winter is behind them. 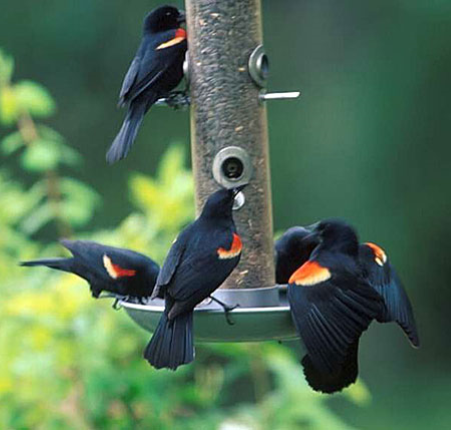 Hungry red-winged blackbirds, ravenous from their own journey, devour the seeds at the bird feeder and deer arrive at night to clean up the leftovers. The sun is warmer and the welcome smell of the earth announces the new season. The sounds and sights of spring are evident in the songbird calls in the morning before the world awakens, and in this awakening of spring, the voice of God can be heard in creation. This is one of the ways, I believe, we can hear the voice of the God, reminding us of his love for us by the amazing world He has created for us to live in. God speaks to us in so many varied ways. God speaks to us in Worship. Praise, song, scripture and Communion allow us to know God’s voice and respond. We are forgiven in the sacrament of Reconciliation. 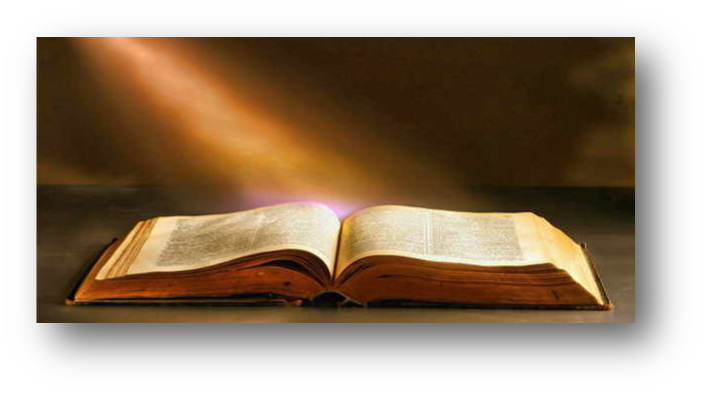 God speaks to us through the reading of scripture. His son Jesus, speaks directly to us in the gospels. God speaks to us when we pray. We take our concerns and challenges to him in prayer, asking for his guidance and thanking him for the many blessings in our lives. We trust that we will receive the direction we will need, but we realize we don’t always receive the expected. God has a plan for us and His plan is so much greater than we could imagine, so we ask that God’s will becomes our will. God speaks to us through the Holy Spirit. I believe that the tiny whisper of a voice inside of us will lead us to do what is right and just if we are open to hearing it. The Holy Spirit lives in each of us, urging us to live our lives according to God’s plan for us. Personally, I know that God speaks to us through our relationships with others. Relating to other people may compel us to do the unexpected. We often don’t even understand what impels us. It is how people are able to save others courageously, while ignoring their own fears. When we speak up for the poor and voiceless, God is speaking to us, directing our hearts and spirits for His purpose. Have you ever felt that you happened to be in the right place at the right time, either to give or receive a compassionate response? It happens on a walk in the neighborhood or the chance meeting in the grocery store. The very circumstances that we encounter in our daily lives open the path of communication with God through others. These, my friends, are not just coincidences. If we are open to the Lord, he will direct us at those times. Expect to receive messages from God. Messages of love, of hope and assurance. Let yourselves be led to do what you believe God is asking you to do. Don’t look at your own inabilities or insecurities. Trust that God will always show you the way. In this way, you will be open to hear God’s voice and He will work in and through you. Be His vessel. Listen and pray always and in all ways.